West Lothian Youth Foundation’s key purpose is to use football as an activity to promote the educational and health development of members of the West Lothian Community with particular emphasis on targeting those who are typically less engaged with these activities and may be failing to achieve their full potential. 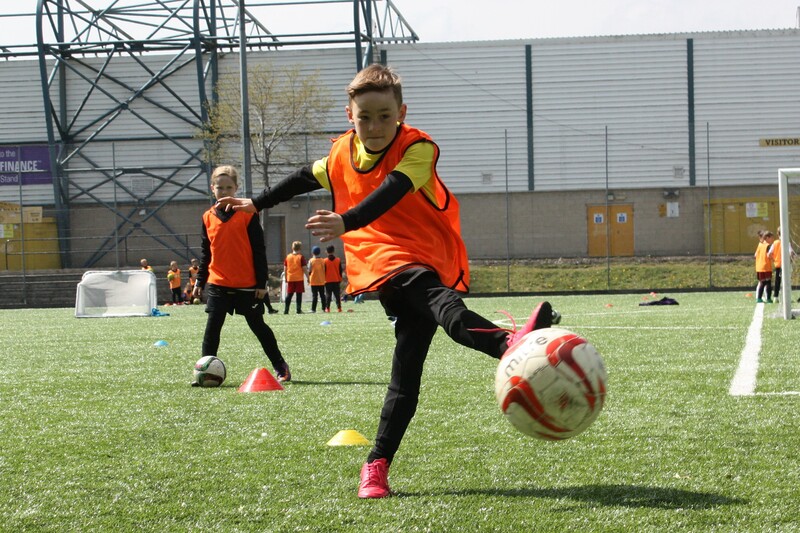 In addition, the Foundation encourage access to a healthy sporting activity at a level suitable for the participant with the opportunity to progress in a systematic manner, whether this be rediscovering the fun in active play, helping to develop stronger boys and girl’s teams across the County or building a stronger professional football club in West Lothian. West Lothian Youth Foundation (WLYF) is a charitable organisation and we are registered with The Scottish Charity Regulator (OSCR) along with being a Company Limited by Guarantee registered with Companies House. West Lothian Youth Foundation along with our key founding partners, West Lothian Council, Scottish FA, Xcite West Lothian Leisure, Livingston FC and West Lothian College work towards set objectives which allow the organisations shared common goals to be achieved. The common goals will be achieved through the Foundation’s ‘Football for Development Plan’ which contains five key delivery pillars. These delivery pillars are strongly linked to the national governing bodies (Scottish FA) ‘A Vibrant Game for All’.